Hello design community! I’m Tino, the Product Design Lead at Flipp. Your hiring process is a product that must be deliberately designed, just like anything else you do as a designer. If you want to build a high quality team, you need a high quality hiring process.This means a process that enables you to discover outstanding talent by understanding a candidate’s capabilities and ways of thinking, while making things exciting for everyone involved. To do this, we need to study the current candidate experience, understand their context and identify pains along the way to ultimately craft the best alternative. But before I get ahead of myself, a little background first. At Flipp, we’re on a mission to build the digital marketplace of the future. In the pursuit of this lofty goal, we need to be on the ground getting to know consumers, and mobilizing our learnings throughout our organization, as they guide our daily decision-making. In short, a really strong user-centric Product Design team is a must. We’ve been hard at work building a team of Product Designers who are obsessed with doing right by our users, but it’s certainly no easy feat. Let’s crack it open. Attracting and retaining top design talent in today’s hiring market is enormously difficult. There is significantly more demand for UX practitioners than there is supply. 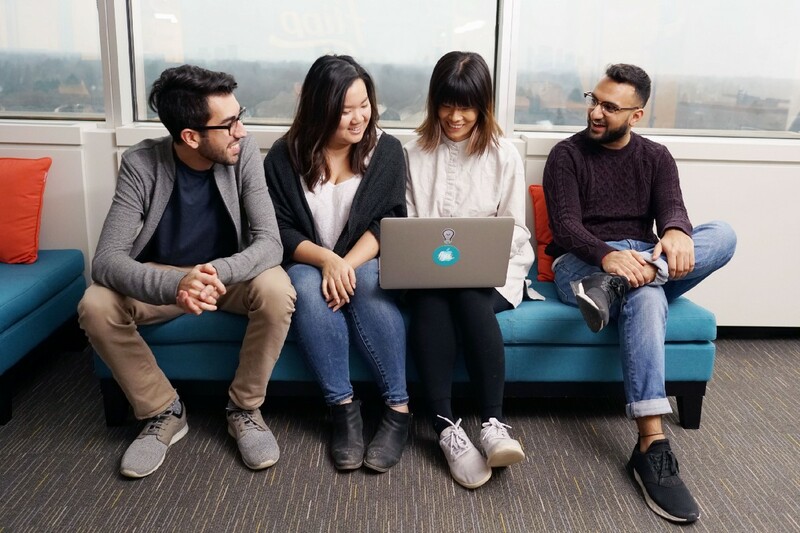 According to Canadian Business, in 2016 there were roughly 43,500 software engineers in Canada, and if we assume there is 1 designer to 20 engineers, there are roughly 2175 designers across the entire country. Much less in the city of Toronto. It’s important to give prospective design candidates a big reason to get excited about working with an organization. What problems would they help solve? Aren’t we just an app? What makes our team unique? We also need to show candidates that we’re going on this journey with them, and we’re ready to invest time in the interview process. 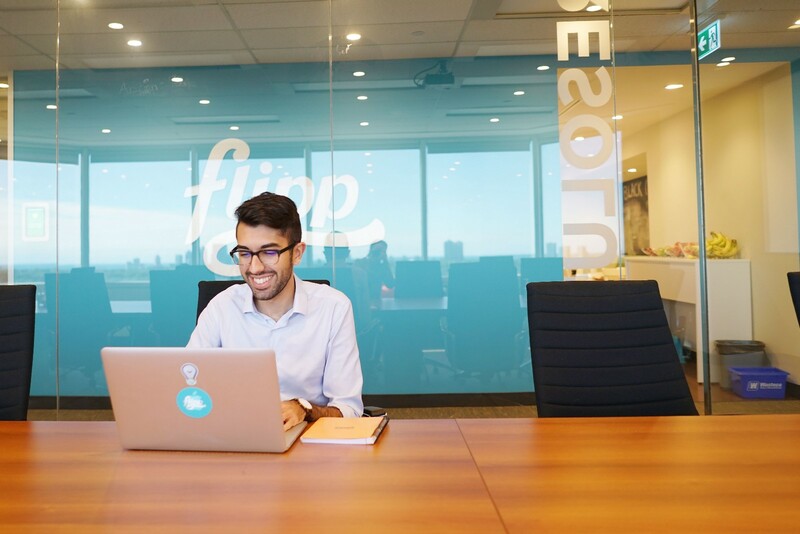 We use a process that we call Humble Hiring, named after one of Flipp’s core cultural principles — humility. It’s reflective of how we view candidates entering this process. They are our partners and we invest just as much time and energy into getting to know them as they do us. Our first meeting with the candidate is about getting to know them. Keep it casual. Ask about work later. We also encourage setting up a video chat for this first discussion, as it is often easier for the candidate. In this conversation, we want to know how this person got into design, what they’re passionate about, and whether we can imagine them solving challenging problems with other folks on the team. Following this discussion, we send candidates an informative deck to introduce them to our team and way of working. This familiarizes them with our problem space, addresses common questions, and most importantly gets them excited about the work that we do. Finally, to facilitate an interactive process, we created a half-day working session that invites the candidate to come to our office to engage with the team. With this half-day session, we are able to show candidates that we’re serious about giving them a great experience. We get to spend some quality time getting to know people with minimal impact to other commitments in their life. In return, they get an opportunity to see our office and interact with other team members, allowing them to see our culture first-hand and simulate what it would be like to work here. And the best part is, a candidate’s schedule permitting, we can complete this process in as little as three days. True story. Your team is only as effective as the talent it’s composed of. You need experienced designers who will raise the bar for those around them. Invest serious effort into this search, even if it means spending a little more time finding the right people. Just like anything else, a carefully crafted process generates positive experiences and powerful outcomes. That’s exactly how we approached our hiring process. If you have insights into crafting great hiring experiences, I’d love to hear from you. Ping us in the comments and let’s get the conversation started! Interested in joining the team? Check out our careers page for all the positions we’re currently hiring for.